KAMPALA, May 15 2014 (IPS) - Ugandan AIDS bodies and campaigners have warned that the “ugly clauses” of an HIV bill passed by Parliament late Tuesday, which includes the criminalisation of the “wilful and intentional” transmission of the disease, will see many in this East African country “shun the healthcare system”. Uganda has been described as a model when it comes to public policy responses to challenges posed by the HIV epidemic in the 1990s. But clause 41 of the legislation, which was drafted in 2008, prescribes a maximum 10 years in jail, a fine of about five million Ugandan shillings (1,980 dollars) or both for anyone who “wilfully and intentionally transmitting HIV/AIDS to another person”. It’s the most controversial part of the legislation in the eyes of non-governmental organisations and civil society, but was adopted unanimously by members of parliament last week. Another clause prescribes a fine or a maximum five years in jail for those convicted of “attempted transmission”. Prevalence rates for HIV/AIDS in Uganda dropped from 18 percent in 1992 to 6.4 percent in 2005. But the 2011 National AIDS Indicator Survey, carried out by the Ministry of Health (MOH), showed HIV prevalence rates at 7.3 percent, with 130,000 new infections annually. More than two-thirds of Ugandans have not been tested for HIV/AIDS, according to the research. 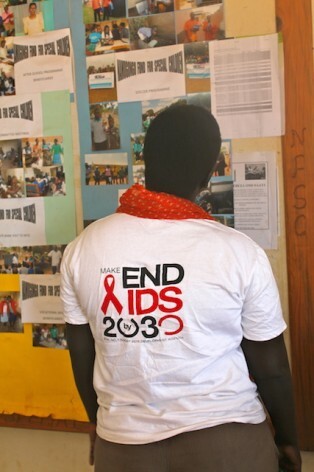 Dianah Nanjeho, a communications consultant at Uganda Network on Law, Ethics and HIV/AIDS (UGANET), which works with a coalition of 40 organisations, said there were already high levels of self-stigma and external stigma experienced by those with HIV. Once the bill is enacted, people will “run underground” instead of getting tested, she warned. “The only path by which someone gets onto treatment is by taking a HIV test. People who don’t know their status are going to shun the health system and say ‘look I can’t go to take a HIV test because the results are going to be displayed in court some day,’” she told IPS. Nanjeho pointed to the current case of Rosemary Namubiru, who has been labeled the “killer nurse” by local press who accuse the HIV-infected medical worker of deliberately injecting her blood into a two-year-old patient, in January. AIDS groups claim the reality is that Namubiru, 64, had an accident and is the victim of stigma. “In that courtroom you would see every single person that is living with HIV looking down and saying this could be me, you know,” said Nanjeho. UGANET argues that section 171 of the Penal Code, which prescribes a seven-year jail term for “any person who unlawfully or negligently does any act which he has reason to believe to be likely to spread the infection of any disease dangerous to life”, is sufficient to prosecute “malicious transmitters of HIV”, among others. The MOH’s AIDS Control Programme does not support the criminalisation of transmission clause in the bill, nor does it have the backing of the Uganda AIDS Commission, an arm of the President’s office. Scientists from the Uganda Virus Research Institute and Uganda’s Joint Clinical Research Centre have advised that it will be too hard to manage issues of proof, that is whether a particular person deliberately infected another with HIV, and that there are other effective programming options. Human Rights Watch and other rights groups have said the bill is “discriminatory and will impede the fight against AIDS”. But Sam Okuonzi, an MP and medical doctor, said the existing law was “not enough”, stressing there had been cases of people spreading HIV intentionally before it was drafted. “They said ‘we cannot die alone, we must die with some people’ so they went around and started spreading this disease to people who were innocent, who did not know their HIV status, vulnerable people,” he told IPS. “People in town here with money would go to the villages and start preying on young girls. AIDS bodies are also upset about clauses of the bill which empowers medical workers to disclose a person’s HIV status to a third party. This, they say, is a “clear violation of human rights and confidentiality” and “represents an institutionalised form of stigma and discrimination.” Another provision provides for mandatory testing of pregnant women and their partners, along with the victims of sexual offences. 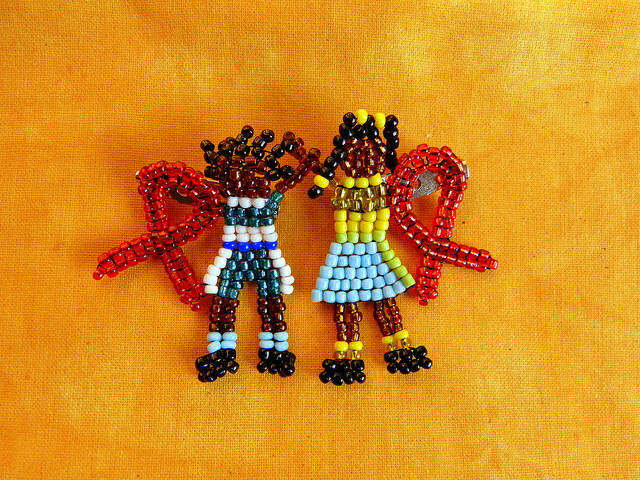 HIV/AIDS in Uganda has been described as having a “gendered face”. According to the 2011 Uganda AIDS Indicator Survey, HIV prevalence is higher among women (8.3 percent) than among men (6.1 percent). Prevalence among young women is markedly higher than among men, except for youth age 15 to 17. These clauses in the bill could lead to women, often the first to find out their HIV status, being subjected to violence or even death at the hands of their partners who accuse them of “bringing HIV into the home”, campaigners caution. Bernard Gift, collaborative fund project assistant at the International Community of Women Living with HIV and AIDS in Eastern Africa (ICWEA), said the government should concentrate on making more treatment available and addressing problems with drug stockouts. “Instead of resorting to legislation, when we have actually been here with the virus for almost 30 years, why don’t we look at the alternative? For example, availing people with treatment and ARVs,” he told IPS. Nanjeho agreed that instead of “fighting an epidemic” with a law, the focus should be on changing attitudes towards HIV/AIDS, a behavioural disease. “There’s already enough laws. It’s not the lack of law that’s making us do this. It’s the emotion at the end of the day,” she said. Okounzi said as with the Anti-Homosexuality Act, signed into law in February, Museveni would approve the legislation because he knows it will be good for him. “Because he knows the voters are going to like this bill it will be popular with him,” he said. Burundi, Kenya and Tanzania have similar laws on criminalising deliberate HIV transmission. One can’t simply legislate away an epidemic. I’m no scholar on Ugandan law but I’m guessing there are other intent to harm legal frameworks for handling people who intentionally spread infectious diseases.This legislation is disturbing and its punitive measures only reasonably predict that it will simply drive people away from being tested altogether out of fear of being prosecuted for past sexual relations.